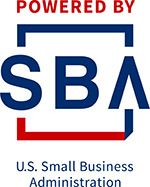 The Kansas SBDC team of is solely focused on ensuring that small businesses in Kansas achieve their goals. Elisa brings her past experiences as an attorney, retail store owner and small business consultant to her current position as the Regional Director of the Kansas Small Business Development Center at Johnson County Community College. Prior to joining the Kansas SDBC, Elisa practiced law in the Kansas City area and worked as an adjunct professor at DePaul University Law School in Chicago. Elisa opened her small business, a contemporary ceramic studio, with the assistance of the Kansas SBDC. Upon selling her studio in 2005, Elisa joined the Kansas SBDC as a consultant. Elisa enjoys working with entrepreneurs to develop profitable and meaningful businesses. Elisa is also an adjunct instructor of Business Law at JCCC. Elisa earned her bachelor's degree in Social Theory from Harvard University and her J.D. from George Washington University. When Elisa is not working, she enjoys traveling with her husband and their two sons. John Addessi is a Business Advisor, adjunct instructor and Certified Global Business Professional with the Kansas Small Business Development Center at Johnson County Community College. John teaches seminars and consults on topics such as financing, business plans, marketing, international trade, e-commerce and more. Prior to joining the Kansas SBDC at JCCC, John was a consultant with the Kansas SBDC at Washburn University. John spent 15 years in management in the public and private sectors. He supervised the Language Learning Center at the University of Rhode Island and was sales manager for central Kansas with CellularONE. He received his bachelor’s degree in Russian and his MBA in general management from the University of Rhode Island. John has owned his own e-commerce sites and is familiar with the challenges facing small businesses in a competitive market. As a consultant for the Kansas Small Business Development Center at JCCC, Stephanie Landis uses her expertise as a seasoned sales, marketing and management leader to assist business owners. She has the unique ability to merge her corporate career as VP Sales and Marketing with her experience of purchasing, running and selling two of her own businesses. She brings broad industry experience as well as insight into hiring, compensating and motivating employees. Having spent time on corporate boards and executive committees, she also fully understands the budgeting and financial influences within an organization. She received a Bachelor of Business Administration from the University of Kansas and an MBA from Rockhurst University. She is also a NASBITE Certified Global Business Professional. As a consultant for the Kansas Small Business Development Center at Johnson County Community College, Jack leverages his over 30 years of experience in manufacturing, distribution, logistics and all things supply chain to assist our clients. Jack spent 10 years with RadioShack in a unique role that involved him in marketing, store operations, product management and other retail business processes that rounded out his strong supply chain background. Jack has a B.S. in mathematics and an MBA from the University of Texas at Dallas, as well as CPIM and CSCP certifications with APICS (which he is certified to teach). During her school years and since graduating with a Bachelor of Arts degree from the University of Wisconsin-Parkside in 2013, Ellen has garnered experience in a variety of areas including customer service, bookkeeping and supervisory positions in retail, medical and manufacturing settings. As the training coordinator for the Kansas SBDC at Johnson County Community College, Ellen utilizes her background in customer service and office administration to assist our clients by getting them to the right resources and making sure that they have the best possible experience when working with our center. She is generally the first point of contact for many of our clients, facilitates our training classes and workshops, and organizes Kansas SBDC-sponsored events at the college. Ellen enjoys learning about our clients and their small businesses and watching them become more confident throughout the process of working with our center.